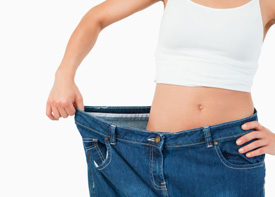 It is possible to lose up to 30 to 40 pounds with the help of the 40 day HCG protocol. Then keep it off by transforming your thinking, stress patterns, exercise and the way you eat. A healthy lifestyle doesn’t have to be restrictive – in fact when done correctly, it is truly indulgent. Fitness becomes fun, stress becomes manageable and food becomes decadent. Learn how to spoil yourself by being nurturing to your body rather than destructive. HCG – Human chorionic gonadotropin is a naturally occurring hormone that women produce during pregnancy. Its purpose is to ensure that the developing fetus never goes a moment without receiving energy and nutrition even if the mother happens to throw up for three months. It does that by telling the body to use stored fat rather than relying on foods for energy and nutrition. Taking prescription HCG can also turn on the switch that tells your body to use the stored fat without being pregnant! It works for men and women. That is why the quick weight loss you get on the HCG program not only changes the scales, it also changes the shape of your body – it uses up the fat that you have stored in whatever areas your body has been storing it! Belly fat, rolls around your waist, hips, thighs, and back fat are typical places that will seem to melt away in the 40 day HCG program. Lets face it, true life changing transformation doesn’t happen overnight – or in 40 days. Although we see incredibly quick weight loss with HCG, the real benefits with our program come when we help you to truly change your lifestyle, so the new weight becomes a permanent fixture in your life. You won’t be learning about weight loss from skinny minnies who haven’t been there. We understand the emotions, the time constraints, the physical ailments and the despair that can keep us from achieving the health we deserve. We will address all those issues – and find solutions. We are experts in adapting exercise and fitness to both the physical challenges and likes or dislikes that prevent us from keeping up an exercise or nutritional program. We know how to make healthy food really taste great. We understand and excel at making food preparation, shopping and even eating out fit into an incredibly hectic lifestyle. We know that sometimes fat serves a purpose – it is often our armor or shield. It helps us feel strong. It protects us from emotions and relationships. It comforts us. We will help you find new ways to feel strong – physically and emotionally, new methods for stress reduction (that don’t have to include chocolate or alcohol!) and find self confidence that will carry you to a new you. You can do this. It is time. The most difficult step is the first one. Ready to learn more? Contact our Live Well Center today.